I don’t know an awful lot about fashion. I don’t really buy clothes all that often, and when I do, they are usually from charity shops, so it’s always a case of finding something that I love and can afford, rather than something that is in fashion or on trend. But I do love looking at photos of ladies in pretty dresses, and I do wish that I had enough money to buy myself one of those lovely dresses (and that I had somewhere to wear it!). So I have decided to start a new series called Maybe One Day, in which I share with you some of my favourite items that I will probably never be able to afford. 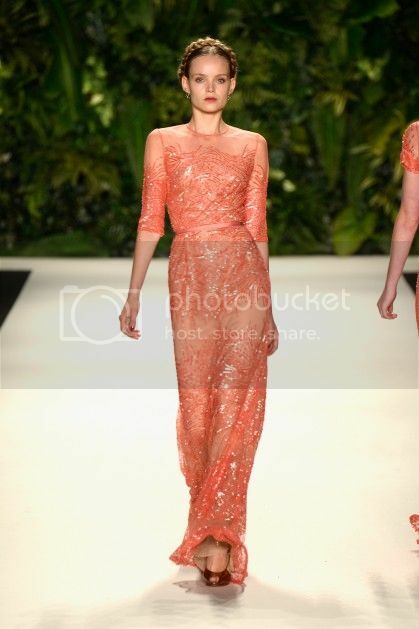 Today I’m featuring the dresses of my favourite designer, Naeem Khan. These are a few red carpet dresses that really made me realise how much I love Khan’s dresses. My absolute favourite is the monochrome one that Nina Dobrev wore to the Oscar parties in March 2013. It helps that she has a perfect face, but seriously, that’s a fabulous dress. And because this is fantasy land, where I can afford expensive dresses, fit into them, and have somewhere to wear them, here are some of my favourites to buy right now. 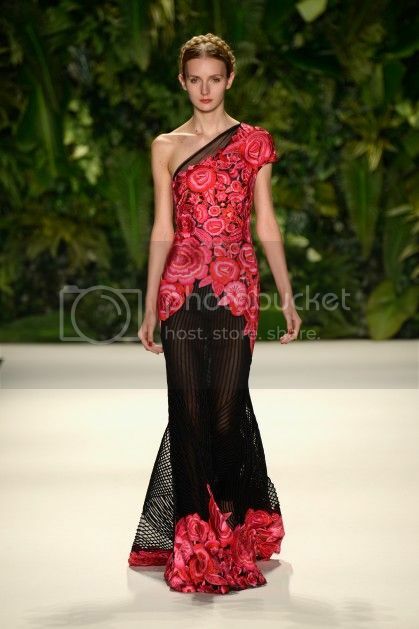 Finally, there were a few particularly gorgeous dresses at Khan’s New York Fashion Week show that I wanted to share. That wedding dress makes me swoon. 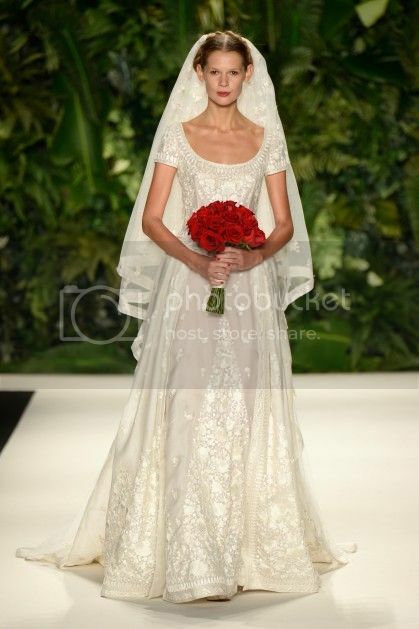 I think the only way I’d ever get my hands on it is if I was marrying Naeem Khan himself, but a girl can dream. They are beautiful aren’t they?! 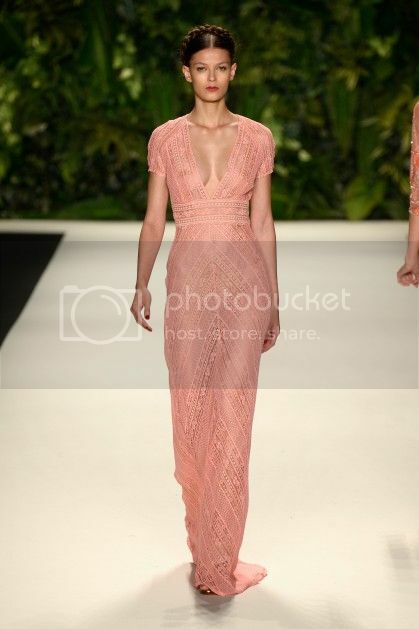 I do not like dresses in general but some of your picks are truly stunning! Thanks! I just think they are so feminine and beautiful without being too girly, if that makes sense! Thanks for your comment! I have something to aspire to, at least! You have a fabulous sense of style! I really like the dresses you have picked. Have you looked on Asos before? 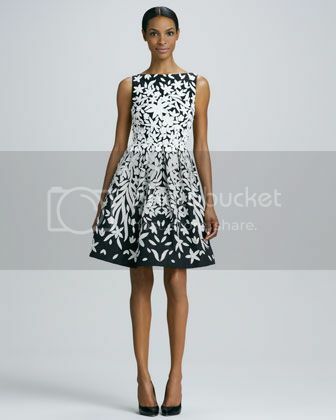 They have some lovely and affordable dresses in all sizes. Reliable and good service too. 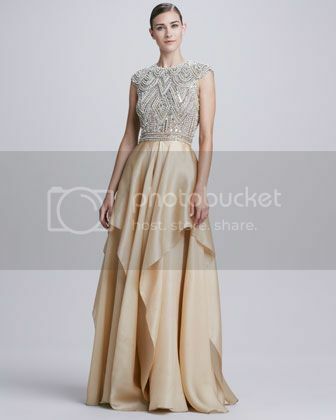 I think my favourite of your picks is the strapless beaded gown! Wowsers, that is something special! Well thank you! I don’t think it’s my sense of style that is so great, but the dresses really are!